Jordan brand is back with another minimalistic makeover to the iconic Air Jordan 1 Mid model. 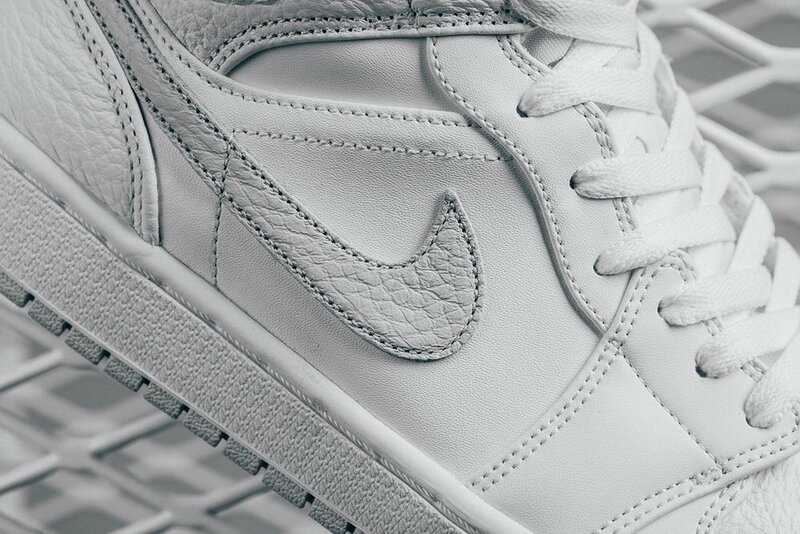 This time around, the sneaker is seen sporting all-white leather on the upper, with subtle Pure Platinum accents on the Swoosh and Wings logo. Jumpman branding on the tongue, and a Pure Platinum outsole give them a finished look. Available now at selected retailers such as Feature.